Today is the deadline for Government departments to put forward their plans to the Chancellor. Today is also the start of Catch the Bus Week, which is a key part of the drive to encourage people to use the bus. The recent budget offered little by way of comfort for the bus sector, and all eyes are now on the forthcoming spending review. We urge the Chancellor to exploit the potential of the bus to support the UK economy and to help drive economic growth. 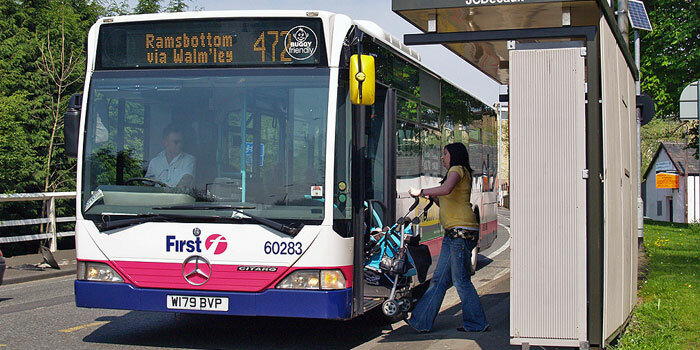 The Spending Review provides an opportunity to rectify the unfair treatment of bus passengers, who have fared far worse in recent years than car drivers and rail passengers. The cost of motoring has fallen considerably over the last twenty years. Motorists have benefited from the Government’s decisions to cancel planned increases in fuel duty in recent budget statements, and rail passengers have benefited from the decision to hold rail fare increases for the next two years. But there are no comparable benefits provided by the Government for bus users. Indeed, bus passengers have been adversely affected by reductions in revenue expenditure on transport, one consequence of which has been higher bus fares. With more than 5 billion trips made every year, for many people the bus is public transport. Buses provide essential and affordable access to jobs, education, retail and leisure, without which key sections of the economy would stall. Bus commuters generate £64 billion in economic output, and more people commute to work by bus than all other forms of public transport combined. We hope that the Chancellor will recognise the vital contribution of the bus. Some of the ways he can do this are outlined in A better deal for the bus from the Spending Review. Measures like tax incentives for bus commuting would strengthen the role the bus plays in supporting the UK’s workforce. Above all we hope that the Chancellor will protect crucial funding for buses, and exploit their potential to facilitate economic growth.